Owing to its phenomenal physical properties, graphene continues to be investigated as a new lubricating agent. Recent studies have focused on graphene’s ability to lubricate interacting steel surfaces by its ease of shear capability. Certain graphene-containing lubricating solutions have proven to reduce steel-on-steel wear by four orders of magnitude, with corresponding huge decreases in CoF (coefficient of friction). But until recently, nobody had studied the tribochemistry of graphene’s bonding to iron. This seems remarkable, given the fact that most mechanical systems are constructed of steel. In May of 2016, two researchers from UNIMORE (the Universitá di Modena e Reggio Emilia) in Italy, published their findings regarding graphene’s adsorption onto iron surfaces, in the journal Carbon. By means of first-principles (spin-polarized DFT) molecular dynamics calculations, the pair revealed that graphene actually chemically binds to iron surfaces, passivating them to virtual inertness. The two researchers, Drs. Paolo Restuccia and M. Clelia Righi, show that graphene’s chemical adsorption onto the metal surface severely reduces the potential for adhesion between interacting metal surfaces and provides, if you will, the perfect tribocoating. Surprisingly, the mechanism for failure of this tribocoating, described by the pair, is that of graphene peeling off of the metal surface under load. More on the ramifications of that idea below. 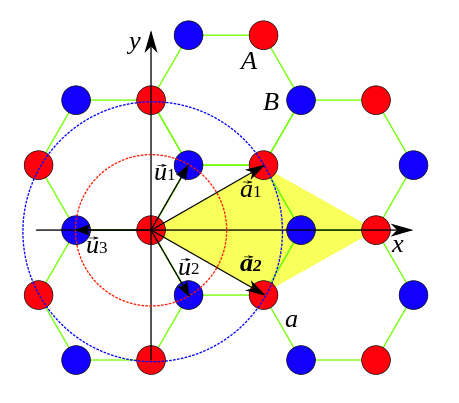 When looking at (110) Iron’s hexagonal symmetry, one sees the distance between Fe “nearest neighbor” atoms at 2.48 Å, quite close to the carbon matrix lattice constant of graphene (shown at top) of 2.46 Å. Due to the slight (2.6%) mismatch in the superlattices, the researchers consider an antiparallel orientation between the graphene layer and its iron substrate. The graphene tribolayer is thought to be able to maintain its planar orientation due to perpendicular alignment of the superlattices, producing a strong binding energy and resulting mixed graphene-metal character of the surface. Unlike prior conclusions of other researchers looking solely at graphene’s physical tribological properties, Restuccia and Righi consider graphene’s chemical tribological properties and opine that applied load on graphene resident on the surface of metal causing peeling of the tribolayer, is in fact undesirable; this shedding of the graphene surface layer reducing its chemical passivation of the metal surface – the desired chemical effect now believed to be the true nature of graphene’s exceptional tribological value. It is the pair’s conclusion that loss of the metal’s surface passivation is what severely hampers graphene’s friction-fighting properties when stripped from the surface. This new idea evolving from the study is that of a chemical, not physical, interaction between the graphene-coated metallic surfaces being the mechanism of graphene’s success as a tribofilm. Given this new charge passivation explanation for graphene’s tribological value, one can see the need for in situ regeneration of graphene in a mechanical system; as relying on its ease of sheer property to lubricate is actually counterproductive. I can only imagine what may be revealed (perhaps in the near future) from continued MD calculations involving the addition of rigid nanoscopic graphene-coated spheres to the system, interposed between the interacting graphene-coated metallic friction surfaces. For additional details regarding the methods and calculations employed in the study, see Restuccia, P. and Righi, M. C., “Tribochemistry of graphene on iron and its possible role in lubrication of steel,” Carbon, Vol. 106 (Sept. 2016), pp. 118-124. Dr. Rick Shankman, ACS APS AIChE MIET is the CEO at Phantaslube LLC, maker of patented Phantaslube® (nontoxic, graphene-based) molecular nanopolishing lubricant technology. Dr. Shankman's research also includes the bottom-up reflux synthesis of graphene from simple carbonaceous precursors and subsequent hydrophobic self-assembly of large area graphene films on the surface of water. I am curious, since the distance between the atoms in graphene and iron lattices is so similar, does it make them commensurate? According to structural lubricity theory, this should lead to high friction, right? Or the surfaces are still incommensurate? Aydar, you are not thinking of lubrication via surface passivation of the metal by graphene. This is not mechanical (structural) lubricity, but chemical lubricity; fighting friction of the inertial adhesive forces normally found between interacting iron surfaces with a graphene shield. Defeat the surface charges on the metal, and it will more easily slide against its mating metal surface. According to the researchers… 88% more easily if it’s graphene coating the surface. With regard to the commensurability of the lattices, remember that the graphene is chemisorbed (not physisorbed) on the surface and is meant to stay there doing its job. 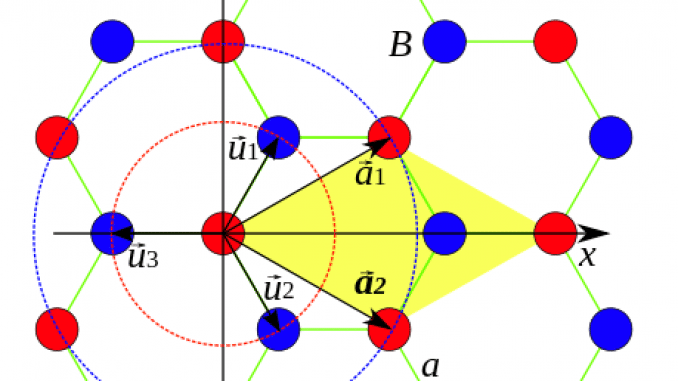 But, in direct answer to the question posed, the superimposed lattices are still somewhat incommensurate. Hi there, I’m a PhD student and my work is now mainly relate to applying graphene as lubricant additive at elevated temperature. I’m new in tribology field and still need many things to learn. Can you tell me some documents relate to structural lubricity theory or chemical lubricity as you guy mentioned above? In addition, I am still wandering that how the oxygen functional groups play their role in graphene absorption on metal surface? Thank you so much and wish all the best.